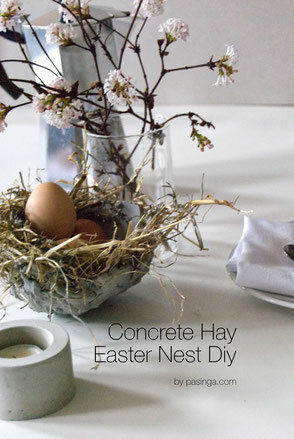 Easter nest DIY is centre stage ... click for DIY instructions! It certainly feels like spring outside. 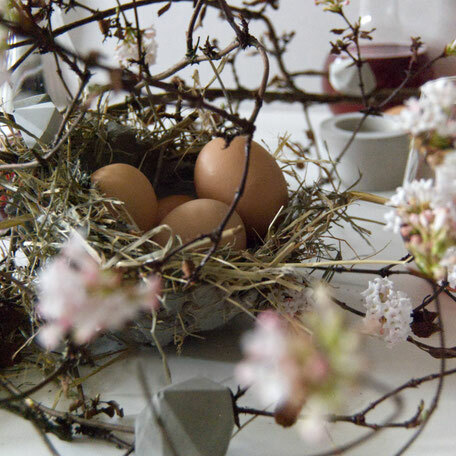 The first soft pastel blossoms are around and I am getting all excited about Easter this year. 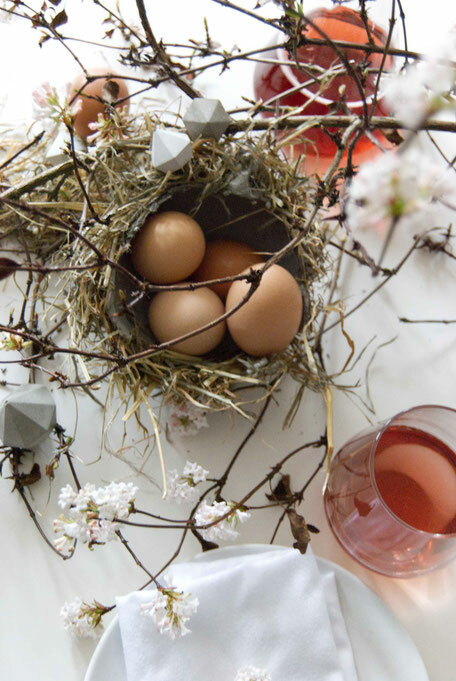 I am not usually the one to do so but this years Easter nest DIY got me decorating all over the place. 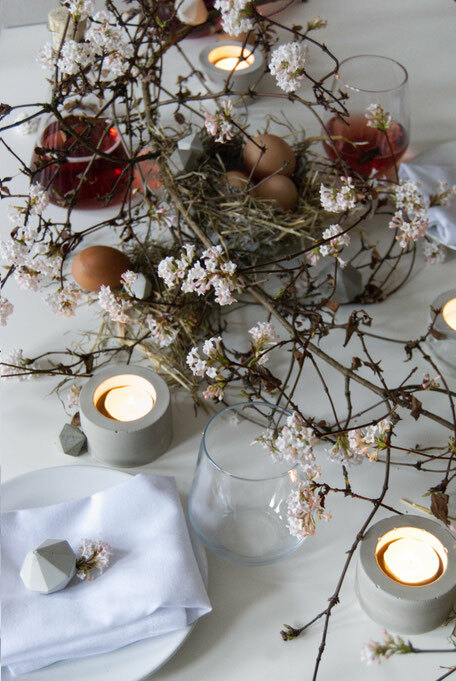 In many ways the whole table centrepiece started with the concrete hay nest - full fun instructions are here - and evolved to adding branches, eggs, candle holders, diamond ornaments, hay and party favours. 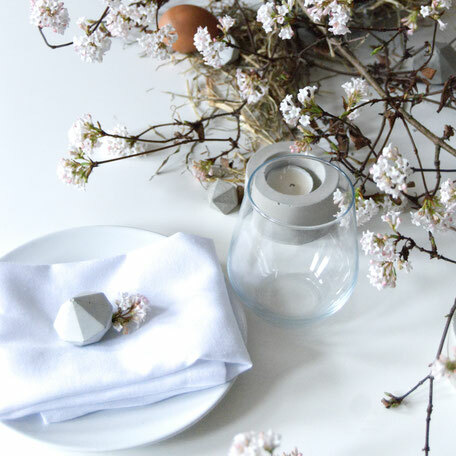 Since our table is white I went for a clean setting without tablecloth, however white linen napkins add a useful soft touch. I am pleased with the soft almost fragile modern feel considering that rather hard objects, made from concrete, are centre stage. It feels very laid back and raw not to say minimal by all playfulness. There is enough space around the table to add further bowls and trays to complete the - for us it will be the - brunch table which I feel everything will fit perfectly to the centre piece. Anyhow below are more details to appreciate - including a variation I am delighted with too but lets have a closer look! The nest which is the one formed over the balloon is to me the one which fits best to the overall decor idea and it works well with the branch. I added 4 eggs, which can of course be eaten but also to highlight the fun eye-catcher even more. After all I and maybe you too crafted this piece as well! I left enough space for a bread basket and two platters with food goodies, several glass jars of preservatives and so on. 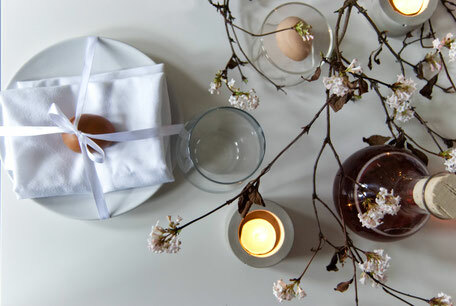 I think these breakfast and brunch goods will work quite well with the colours of the centrepiece. All around the branch I chose areas where I placed a bit more hay but you could also place smaller or other nests if you have crafted more. I placed diamond ornaments in different sizes all around the table on top of the hay as well as the branch. 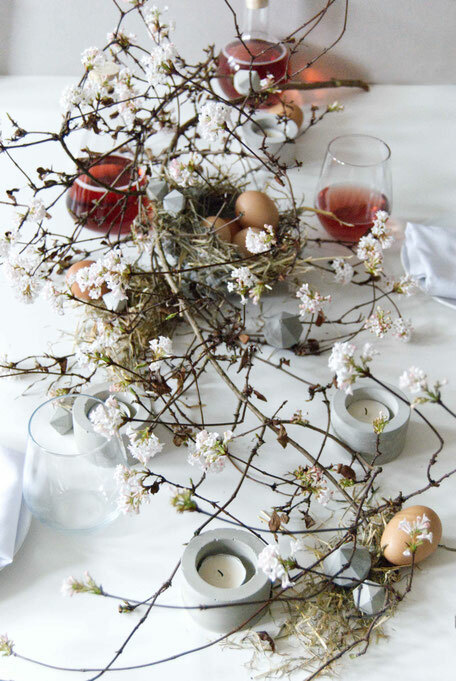 All concrete is pale grey which works fabulously with he natural tones of the hay and the branch and adds just the softest of contrast to the pastel rose blossoms. The candle holders are rather minimal and bold but I was thinking of all the hay and decided these would work best after all I don't want a fireplace. 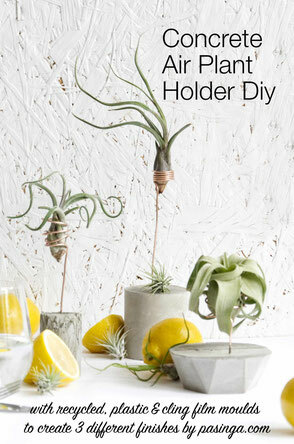 But candle sticks could work wonderful too. I found it hard to decide which plate setting to choose. 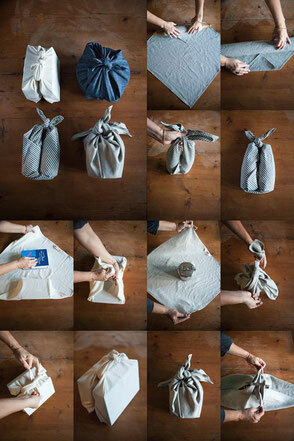 One is providing a little gift for the guests and who doesn't like to keep a little diamond as keepsake like above. 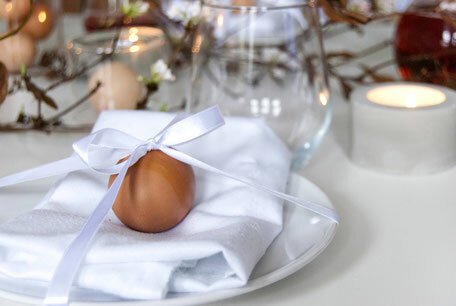 The other is cute and fits Easter perfectly by gifting a simple egg. Both however would allow to add the name of the person to be seated should it be something you desire. Well, it's up to you now!